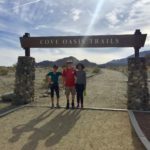 My family loves to go to the desert in January to celebrate my daughter’s birthday. 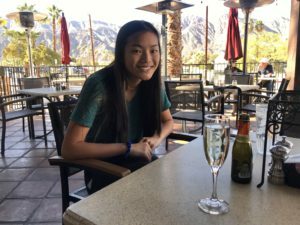 On her last birthday weekend, we chose the cutest neighborhood located in the resort town of La Quinta. 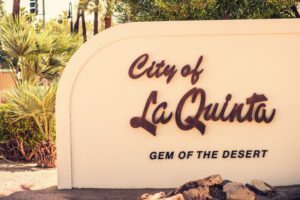 La Quinta is located in the gorgeous Coachella Valley, sitting in between Indian Wells and Indio, surrounded by the Santa Rosa Mountains. This charming town is known for it’s resorts, country clubs, golf tournaments, parks, art, hiking trails, a great Old town and so much more! 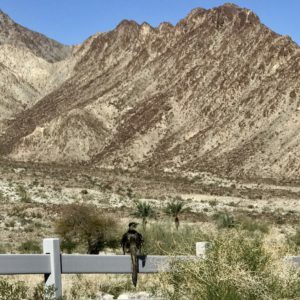 Somehow we discovered a great neighbored called La Quinta Cove. 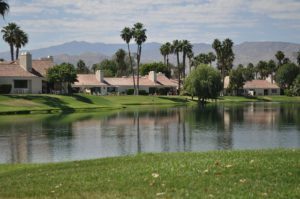 The Cove is a quaint neighborhood just below the foothills of the Santa Rosa Mountains. 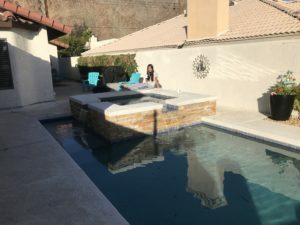 La Quinta Cove was the perfect spot for our celebration weekend! 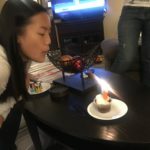 We decided to rent a lovely house for my daughter’s celebration. 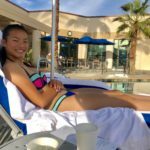 We barbecued, hiked, hung out at the pool and just relaxed on this sun soaked weekend. We even brought our dog! 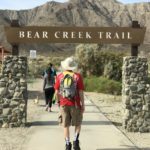 We were so lucky to be close to a beautiful hiking area called Bear Creek Canyon Trail! There are several trails in this area including the main trail which is 8.3 miles out and back. It’s a rigorous hike but the journey and views are well worth it! 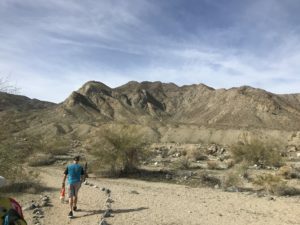 If you’re not an experienced hiker who wants a strenuous hike, no problem, there are other little trails to walk and mountain bike on. There’s plenty of activities other than hiking and biking here. Visitors come here to explore nature and just enjoy the wild flowers. 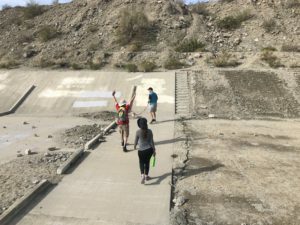 Fitness enthusiasts love to trail run here. Bird watching is a must, too! 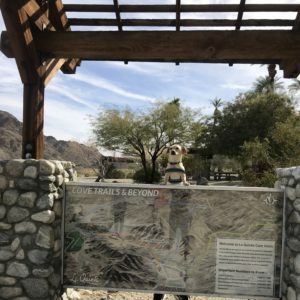 Keep in mind that the main hiking trail is not dog friendly. However, there are small trails in the area that dogs can be on. 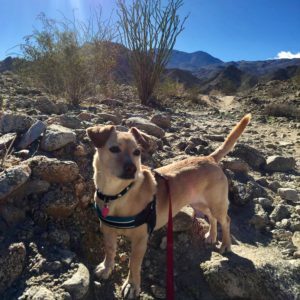 You don’t want your dog on a rigorous trail in the desert heat anyway. Don’t forget to bring plenty of water for both you and your furry friend. You’ll definitely have an appetite after a day of hiking, so head on down the street to Old Town. 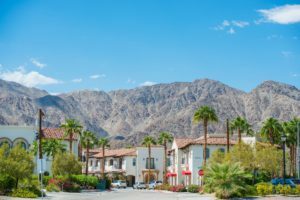 You’ll find plenty of great restaurants, nice boutique shops and a lovely library in Old Town La Quinta, as well. Parking is plentiful which is always nice! After our hike, we stumbled across a pizzeria called Sutfft Pizza Bar & Grill. We lingered on the patio and enjoyed the perfect weather. Their patio is dog friendly, too! The food and ambience was exactly what we needed after a busy day of fun! The girls on the trip chose to spend a few hours at a spa. 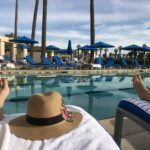 We went to our favorite at The Spa at Desert Springs in Palm Desert, which was only 20 minutes away. 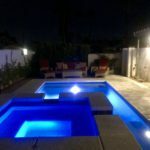 There are plenty of spas in the La Quinta area that are wonderful and affordable, too. 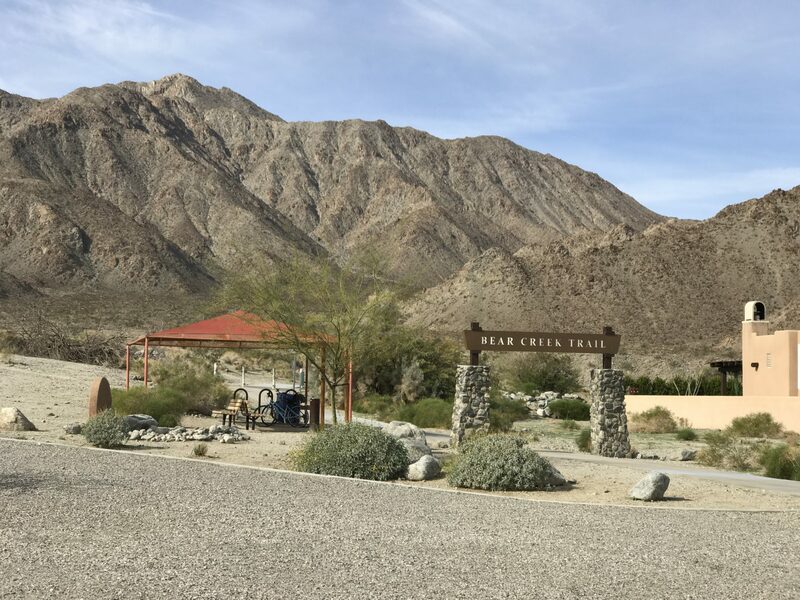 Overall, La Quinta Cove was a fantastic place for a desert getaway! I can’t believe I never knew about this area until now! The Cove is an up and coming neighborhood. Lots of homes are being renovated and some are nice rentals now. The resorts in the area are first class and many great eateries are popping up everywhere. 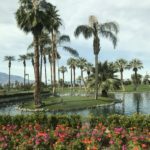 I highly recommend a visit to La Quinta Cove! 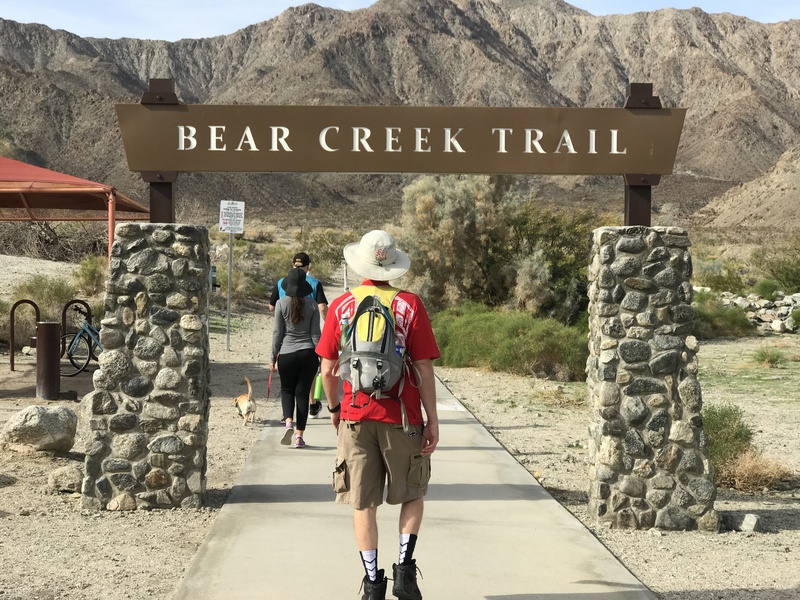 If you’re looking for a day trip to hike Bear Creek Canyon Trail, take Highway 111 to La Quinta. Make a right at Washington Street, then a right on Eisenhower Drive and keep going until the end. Then right onto Bermudas which becomes Calle Tecate. There’s a parking lot at Calle Tecate and Avenida Ramirez. 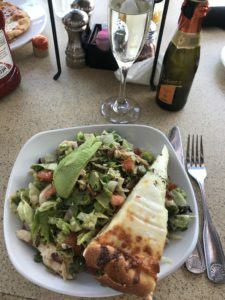 Stufft Pizza Bar and Grill is located at 78015 Main Street, La Quinta 92253, call 760-7779989. The Spa at Desert Springs is located at 74-855 Country Club Drive, Palm Desert, 92260. Call 800-255-0848. 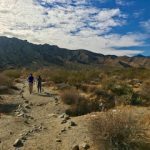 Mission Creek Preserve Trail – A Desert Hidden Gem!